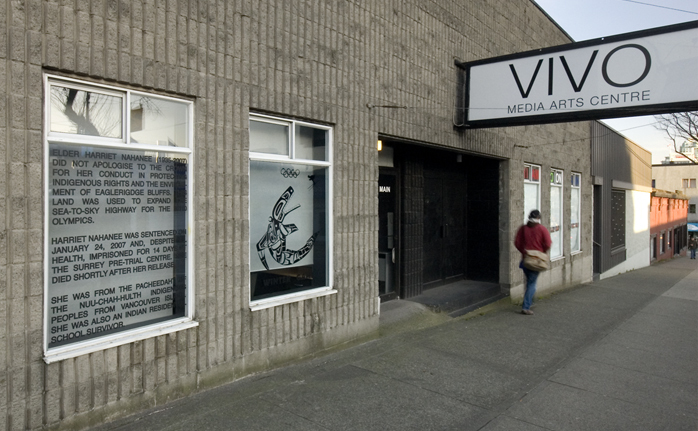 Harriet Nahanee, (VIVO, Vancouver, 2010) in Safe Façade, a group show with Edgar Heap of Birds and Tania Willard curated by Emilio Rojas. 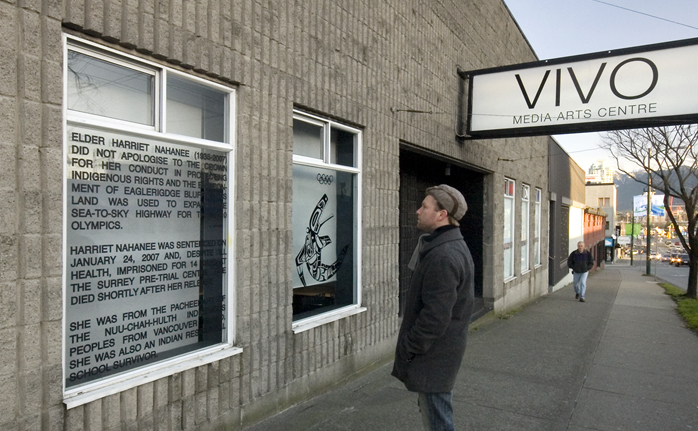 Safe Façade was the window project of the larger event, Safe Assembly, a critical response to the 2010 Olympic Games. 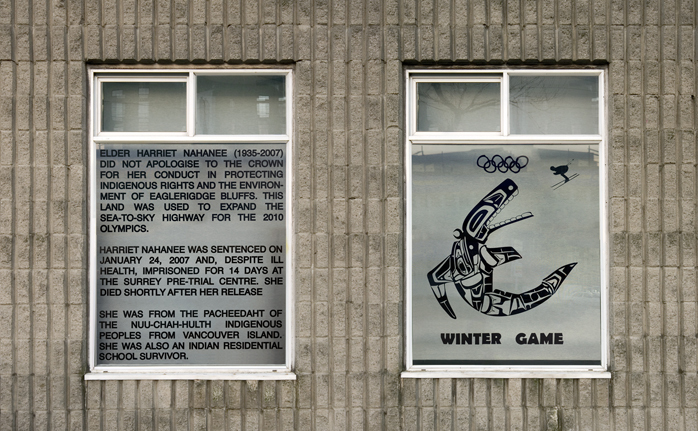 Harriet Nahanee was a temporary memorial providing a little-known backstory to this First Nations elder and activist who protested the Sea-to-Sky highway expansion for the Olympics. 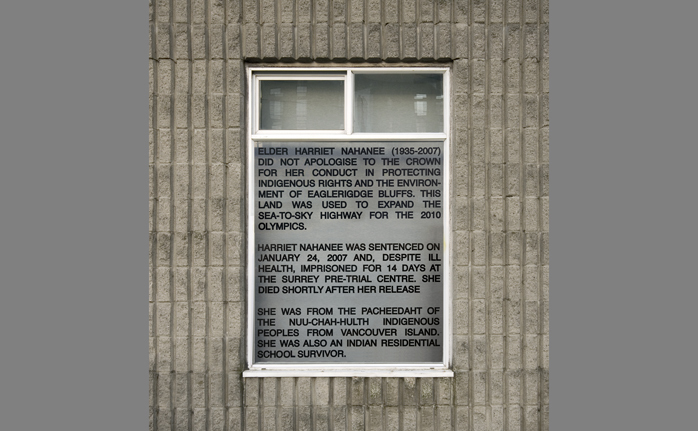 She was jailed for not apologizing for her actions and died of pneumonia shortly after release.